Home Africa Which Is The Most Powerful Air Force In Africa? Which Is The Most Powerful Air Force In Africa? AFRICANGLOBE – Between 2007 and 2012, Africa has witnessed rapid escalation of internal conflicts and civil unrest promising to split major African countries apart. Examples of such include counties like Kenya and Nigeria. Kenya witnessed political violence (2007-2008) that purveyed ICC indictment of key leaders. Nigeria has witnessed ethnic and religious extremism with Christian and Muslims butchering each other while the resurgence of Boko Haram further adds panache to their homeland problems. South Africa is gradually becoming geopolitically irrelevant as its military capabilities and resources are becoming obsolete in strategic value. Egypt, one of the most well armed African countries has collapsed since the ouster of Hosni Mubarak and now, militants claim stakes in the military-political outfit governing the country. Zimbabwe continues to ebb into poverty and economic recession with its once robust economy raped by illegal Western sanctions. Uganda is bordering on dictatorship and has sought military largesse but ignored cross-border economic and military ties due to myopic leadership and greed for military expedition. It has been plagued by LRA incursions for decades now while political divide promises a rough future in the face of oil boom in the landlocked country. However, in this analysis, the number of troops and their equipment is a parameter that does not hold the tipping point of this query rather the deterrent capability of the armies pointed out showcases this capability. North Africa’s far end has some of the most spectacular and advanced air forces in Africa. With Morocco, owning 24 F-16C/D Block 52 F-16 fighters from Lockheed Martin, upgraded with advanced Countermeasures Electronic Systems Electronic Warfare Systems (ACES) modules that have “updated date protection. It also has 10 units of Chinook helicopters though those are feared to have ebbed into disrepair. Algeria owns a remarkably unique fleet that has a mix of the most advanced and valuable Russian made fighter aircrafts. 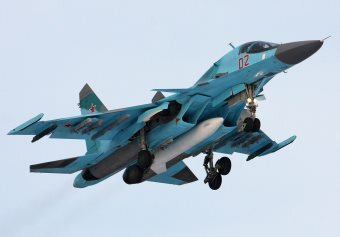 It received all of its 44 Su-30MKA and 48 Su-35BM combat aircraft from Russia. It also has 30 MIG-29’s, 44 Sukhoi Su-24’s and 18 Mikoyan-Gurevich MiG-25. The Algerian air forces also received their first Pantsir-S1 point defense systems while its navy received two Type 636 KILO class submarines from Russia. Egypt is one of the African countries with the largest fleet of advanced jets. Egypt operates 220 F-16s making it the fourth largest operator of the F-16 in the world. Egypt has the largest navy in Africa and the Arabian region, armed with 4 Improved Romeo class diesel submarines, 4 Project 636 Kilo class diesel submarine, 4-guided missile frigates, 4 Ambassador MK III class fast attack crafts, 9-Ossa 1-Class and hundreds of related sea based attack and patrol crafts. In East and Central Africa where militancy and an economic meltdown still reigns, poverty and dictatorship have heralded very poorly equipped armies. Kenya is reckoned the most powerful army in the region. Its air force is the only operational air force in the region with a fleet of 22 operational Northrop F-5E/EM/F-5F fighter jets. However, completion of the upgrading of the Laikipia airbase and the Wajir air base will welcome the delivery of a fleet of new and modern fighter aircrafts. The Kenya air force has some of the most modern and highly rated attack helicopters from Russia ‘Kamov 50 ground attack helicopter gunships and the Havoc Mil M28 attack helicopter gunships. Ethiopia follows though much of its fleet is old. On the Ethiopian inventory, with 21-Mikoyan-Gurevich MiG-23, 12-Mikoyan-Gurevich MiG-21, 8-Sukhoi Su-25, and, 18-Sukhoi Su-27 multirole fighter’s, a combo that makes it quite a capable air force in the region. Nigeria is the West African powerhouse though its ability to make homeland security a success is marred by ethno-religious problems besides militancy. Its air force is nearing extinction and their defense budget focuses on developing ground forces and Special Forces units to counter emerging militant threats. In the South, South Africa had earned a place as the most powerful air force in the region but this has been overshadowed by Angola. South Africa’s air force operates Swedish Saab Gripen. According to their inventory, the South African air force has 22 Saab Gripen multi-role aircrafts. Angola has a large fleet of fighters from Russia. Angola’s air force inventory has 25-Mikoyan-Gurevich MiG-21 Fishbed fighters, 26-Mikoyan-Gurevich MiG-23 Flogger fighters, 6-Sukhoi Su-27 Flanker air superiority fighters, 8-Sukhoi Su-22 Fitter ground attack aircrafts, and, 8-Sukhoi Su-25 Frogfoot attack aircrafts besides an armed maritime patrol squadron. Success: Why Does It Elude Africans?